Hello from Charlotte, friends! My sweet husband is in California for deployment training, so I am traveling around and will be at home the next few weeks. I am so excited for April! This month, we celebrate both our birthdays, go on our anniversary getaway (what!? ), enjoy warmer weather, and spring clothes! Eep! I have always been a sucker for this time of year. It reminds me of the beauty of seasons. That even in the dark, cold times in life, we can look forward to warmth and color and blooms. We can remember the faithfulness of God, and look ahead knowing that this season really will come to an end, and bring beauty and growth along with it. With the warmer weather, I have been feeling an enormous urge to learn more about gardening and planting an herb garden. There's something healing about watching something bloom from where it's planted, after tenderly watering and watching for thing to come forth from the ground. I think it would be a constant reminder for me of the same idea in my own life. If you have any great resources, please send them my way! If you are new to this blog space, welcome! 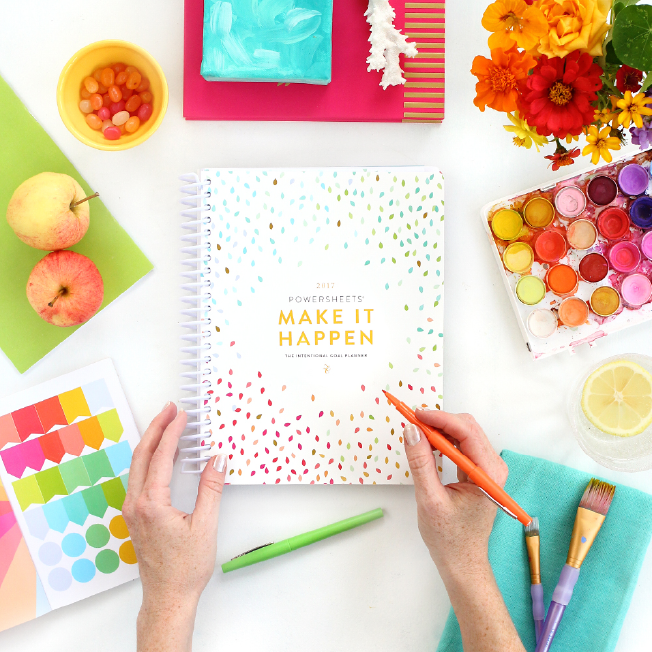 Every month, I share my Powersheet goals on the blog. Powersheets are intentional goal setting worksheets that help you live your life more defined and on purpose, so you can cultivate what really matters in your life. I will share a link in the bottom of this post :) Happy April! Date nights when Daniel is home!